Yana Boeva graduated with a PhD in Science & Technology Studies from York University (2018), and had Dr. Garnet Hertz as external thesis advisor. Boeva has an interdisciplinary background in media and information theory, design engineering, and digital media practice. Drawing upon this combination, her doctoral project — Break, Make, Retake: Making as a Design Practice — examined the promises of digital fabrication and the related maker culture towards de-professionalization of design practice, concepts of expertise, and notions of re-industrialization. As of 2019 she is a postdoc research associate for tech innovation and ideation processes at LEONARDO – Zentrum für Kreativität und Innovation at TH Nuremberg. 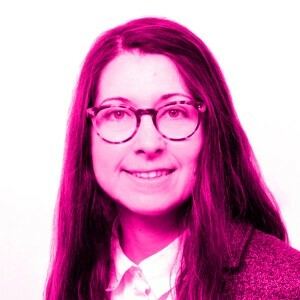 Her research interests include critically-informed design research, digital fabrication (computer-aided design & manufacturing), history of technology, and user conceptualizations. For more on Boeva, see https://yanaboeva.xyz/.